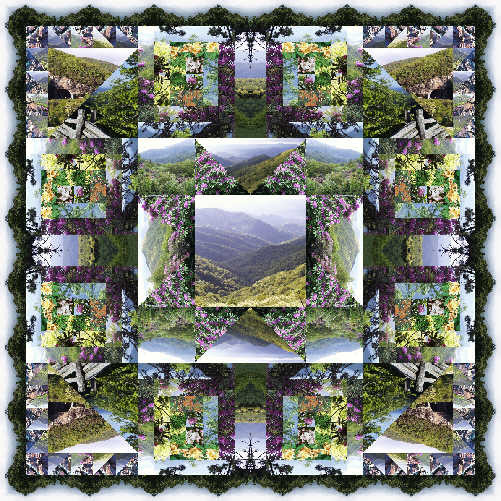 The three blocks that make up the quilt are Delectable Mountains (corner blocks), Evening Star (center block) and Log Cabin (remaining blocks). There are 29 photos used to make up the quilt. I shot the pictures for the quilt in the spring of 2001 on the Blue Ridge Parkway. website and images copyright 2001-2005 Barbara Webster. All rights reserved.